Governor Markell released his budget for FY2015 and it includes new taxes, including a 10 cent per gallon increase in the gas tax. He also wants to increase taxes on businesses and move money from the Transportation Trust Fund to help offset the deficit. Much of this increase in spending is unnecessary and there are ways to pay for the spending without new taxes. For example, Delaware could save $90 million a year in the infrastructure category if they simply change their prevailing wage methodology from the state’s prevailing wage survey to the US Bureau of Labor & Statistics (BLS) survey. This is because Delaware’s survey is much more union-friendly and has caused public works projects to see an explosion in spending. The BLS survey includes more businesses and while still union-friendly is much less so than the state’s. Delaware has $29 million sitting in bank accounts, unspent money collected from the Regional Greenhouse Gas Initiative. This is money polluting businesses pay to the state in order to “offset” their emission of CO2. The idea was that money would be spent on low-income weatherization projects (like installing energy-efficient windows or dishwashers in homes), but in reality most of the money spent was on administrative costs, with very little going to these projects (which had their own problems). Delaware also makes the cost of business difficult, with electric prices 25% higher than the national average, the state with the worst gross receipts and corporate income tax rate together, and a personal income tax rate which make Delaware uncompetitive with Florida or Texas for jobs; in place the state has to essentially pay companies like ILC and Kraft Foods to keep jobs here. What we need is a natural gas pipeline to lower energy costs, a repeal or at least reduction in the tax rates mentioned above, and more support for existing firms. Delaware was last in the nation in terms of job expansion by existing in-state firms. Let us hope that the General Assembly decides to move Delaware in a pro job-growth direction and away from punishing the middle class and small businesses of Delaware with onerous taxes and fees which are only encouraging the state to spend more. *Note:This article will be updated when further details about the FY2015 budget are revealed. Dover- The Caesar Rodney Institute (CRI) announced today that David Stevenson, Director of the Center for Energy Competitiveness at CRI, is among four plaintiffs who filed a lawsuit this week against DNREC and DNREC Secretary Colin O’Mara. The complaint asserts Secretary O’Mara has not been delegated the power to reduce the agency’s new carbon emissions goals, which is the basis for raising the carbon dioxide permit fees. The plaintiffs also believe DNREC is violating the Delaware Constitution by issuing a regulation on carbon dioxide emission permit fees without the state legislature, as required in the state constitution. This new regulatory ruling will cost Delaware families and businesses over $50 million a year in fees collected through consumers’ electric bills. The other plaintiffs are: Christian Hudson, of Hudson Management and Sam Yoder & Sons in Greenwood; and John Moore, CEO of Acorn Energy in Wilmington and a CRI board member. “Businesses are already struggling with high electric bills; we don’t need to add to the problem and make Delaware less competitive”, Hudson said. “The regulatory change DNREC is proposing doesn’t appear to be about the environment but rather about raising more state revenue”, Moore said. The case will be heard by Judge Richard F. Stokes, Superior Court judge, in Georgetown. Whether you celebrate Christmas or another holiday this season, we wish you a Merry Christmas, a Happy Holiday, and a joyous New Year! “Passive Solar heating and cooling can save 50% of (sic) the cost of heating and cooling from a building. It is required by law for California. The Legislature needs to copy this law for Delaware.” The author of this letter proposes going back to a 1990 EPA proposal to require companies with over 100 employees a a site to reduce the number of cars at the site; ideas include requiring carpooling and charging employees for parking. “The only real solution to shoreline erosion is to retreat, as has occurred for nearly 400 years of settlement of Delaware.” Ban beach replenishment and federal flood insurance, since “taxpayers put up $3 for every $1 that the homeowner puts up”. (p.78). Pages 80-88 were blacked out. No idea what was in them; an attempt to obtain those pages will be made. The same is true of pages 121-122. Their letter talks about “Transfer of Development Rights”-this is when landowners are incentivized to not develop their land. In terms of environmentalism, this means to steer land development away from rural areas or areas with natural resources. As an example, suppose you own farmland in one of the “endangered” zones. You would agree to sell the rights to development to one of the “good” groups, say the Sierra Club, for example. You would still legally own the land, but not the rights to develop the land. The Sierra Club would own those rights. Given their track record of being against nearly all development of any kind, basically what you have agreed to do is to receive payment in exchange for stopping further development or unapproved use of your land. This is one way anti-growth people and organizations have proposed to halt future development-rather than use the rule of law to halt you, they convince you to stop development, and give you some money as a bonus for your troubles. What do they recommend the state do to combat this “crisis”? 2. increase taxes on hotels, motels, and “weekend” (also monthly and seasonal) homes and apartments. 3. increase real estate transfer taxes and building permit fees for coastal building properties and homes. 4. Carbon tax-$2 per ton of CO2, increased as costs from “recovering from storms” increases. 5. Add a surcharge to Route 1 traffic; the surcharge would pay for changes to transportation and roads due to SLR. 6. Require realtors to disclose the “risks” of SLR in Delaware. It says the state, not even just the coastal areas. 7. Set up a database, via the Insurance Commisioners’s office, with up to date info on storm and flood insurance availability and costs from both private and public sources. 8. “Social justice”-have equal redistribution of reimbursement resources for all residents affected by SLR, regardless of any factors. -they want to, by the 8th grade, teach students the “underlying science and history of weather, climate, SLR, and coastal storms.” We can speculate how the information will be taught and how many viewpoints would be presented to the students. This group believes SLR is being underestimated-will be more than 1.5 meters, and melting ice caps will continue for at least 1000 years. At current fossil fuel use trends, Delaware will be mostly underwater in a few centuries. The final respondent to the survey accused the scientists behind the original 57 inch SLR projection of “scientifically unsubstantiated claims” and asked the government to not “meddle and promote a counterproductive agenda.” The author calls for letting private investment “take responsibility for purchasing low lying land”. 135 pages of documentation from the state on SLR reveals a truth we long suspected but only now is being confirmed: those who believe that humans are the primary factors behind global warming, who believe the Arctic ice has melted, and who believe the melting ice caps will cause a large amount of flooding, are going to insist the state begin a multifaceted campaign to counter SLR, including retreating from the shores, raising taxes on individuals, businesses, property owners, and land developers who live near the shore, and asking the state to further regulate different aspects of land use from building permits to septic tanks. Many of these people have no problem with requiring others to do things against their will and do not want to have any opposing viewpoints presented. The fact that the state hired Dr. Katharine Hayhoe to provide alarmist predictions about the future of Delaware’s weather shows the state wants to consider future punitive action against those who are “over-developing” by the shore. They use the worst-case scenarios not merely as a possibility but as a likelihood when planning for SLR. Stricter energy mandates and carbon taxes will be the wave of the future in Delaware if not challenged. Just yesterday the Sea Level Rise (SLR) Advisory Committee came out with its updated report, suggesting Delaware could have between 1.6-4.9 feet of sea level rise on Delaware’s shores by the end of this century. At those predictions most of Sussex and eastern Kent County will be underwater. Needless to say, the amount of flooding “expected” will impact property owners and businesspeople downstate. Here are some of the comments submitted by the committee. Ones of particular note are in bold. “Sussex County Council is an ignorant bunch. The Council… has never met a developer it doesn’t like”. one committeemenber proposed a package of tax increases with more local control over how SLR actions are handled and paid for. One partially illegible comment suggested better engineering of dikes. The question is, what does all of this mean? From these statements, which are full quotes from unidentified names (blacked out in the document), there is a pattern which emerges: the government, possibly DNREC, should be allowed to levy taxes on landowners and land developers in Sussex County to pay for the sea level rise actions. Landowners in all three counties, but especially in Sussex and parts of Kent, will need to advise potential buyers that the property is in a “flood zone”-and the government should have the ability to either tell the potential buyers or make the landowners do so. The next step then is to decide how badly “SLR” will “devastate” Delaware’s shoreline. Next week we will show more information obtained from these documents and explain what it means to you. Celebrating 100 years of Income Taxes! It’s doubtful most people will notice, let alone celebrate, Friday’s 100th anniversary of the U.S. income tax code. But, yes taxpayers, Oct. 4, 2013, is the centennial. So, happy birthday income tax? “Obviously, it depends on your perspective,” said Ajay Mehrotra, a history professor at Indiana University. One expert sees the 100 years as a system run amok. “In 1913, the tax code consisted of 400 pages,” said Timothy Nash, a professor of free market economics at Northwood University. 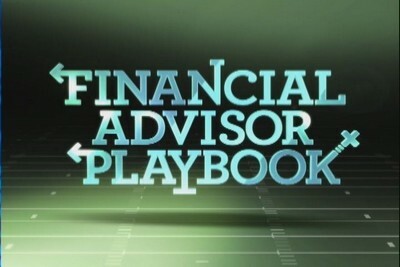 CNBC’s Sharon Epperson gets year-end tax planning advice from three leading financial advisors. It was the 16th Amendment, adopted in February 1913, that gave Congress the legal right to levy an income tax. On the evening of Oct. 3, President Woodrow Wilson signed the Revenue Act of 1913 that allowed the collection of a federal income tax—starting the next day. But having some sort of taxation goes back to the country’s beginning. From 1791 to 1802, the government was supported by tax revenue from the sale of such items as liquor, tobacco, sugar, property sold at auction and even through the sale of slaves. The high cost of the War of 1812 saw the first sales tax on gold, silverware, jewelry and watches. But by 1817, Congress eliminated all taxes and relied on tariffs from imported goods for revenues. It was in 1862, to fund the Civil War, that Congress enacted the first income tax. Anyone making between $300 to $10,000 a year paid a rate of 3 percent. That tax ended soon after the war. Congress also established the Internal Revenue Service at the same time, which had much the same power and authority then as it does now. Jumping to 1894, Congress passed the first peacetime income tax law, but a year later the Supreme Court declared it unconstitutional. The court said that taxes on rents and real estate income had to be divided among the states according to population, which the law did not allow. But the court did make a crucial statement in its ruling. It said that Congress had the right to impose a direct income tax—and that led to the passage of the 16th Amendment. As for most people’s seemingly contentious relationship with the taxman, Mehrotra said it wasn’t always that way. “It’s a popular perception that Americans hate taxes, but that hasn’t been the case until recently,” he said. “Taxes in the post-World War II era were very high at a 70 to 80 percent rate in some cases, and people were more or less willing to pay them,” he said. “But our overall prosperity started to decline in the 1960s and ’70s, and people wanted to start paying less in taxes,” he said. “We’ve had a real transformation of the economy and a loss of faith in the public sector over the years with Watergate, the Vietnam War, so people aren’t as supportive of the government and what it does as they used to be,” said Mehrotra. The tax system has seen its share of changes over the years. In 1943, the withholding tax on wages was introduced for the first time. In 1981, Congress passed the largest tax cut in American history, some $750 billion in cuts over six years. That was partially offset in 1982 and 1984 when Congress raised taxes to the tune of $265 billion. The Tax Reform Act of 1986 is considered the biggest reform measure since 1913. The top tax rate on individual income was lowered from 50 percent to 28 percent, the lowest it had been since 1916. But along with the lower rate came the elimination of certain loopholes to make up the lost revenue. And the act put in a $120 billion increase in business taxes. President George W. Bush signed several tax cuts into law in 2001 for the third-largest tax cut since World War II. President Barack Obama’s tax bill for 2013 kept some of the Bush tax cuts for lower incomes but raised levels for higher incomes, which had been reduced under Bush. Among other moves, Obama restored the full amount of the payroll tax (6.3 percent) and raised the rates on capital gains and included a 3.8 percent surtax on incomes of $200,000 or more for single people to help fund the Affordable Care Act. The dreaded alternative minimum tax (AMT) received a permanent patch to try to keep thousands from having to pay it. Calls for tax reform have led to recent hearings on Capitol Hill. Suggestions include going to a flat tax and eliminating deductions like mortgage interest and charitable giving. “We need taxation for progressive spending, but one thing that would be helpful is if we stopped trying to run every social policy through the IRS,” he added. Taxes are always a hot button issue. Depending on whose study you look at—or your political persuasion—the U.S. is either the most overtaxed nation on the planet, the least taxed (especially for the wealthy), or it’s somewhere in the middle, as some have said. Wherever it is, taxes are money for government services, like Social Security. Medicare, defense, federal worker payrolls, veterans’ benefits, education and health care. And the amount needed keeps growing. The Treasury Department will likely collect around $4.9 trillion from income and payroll taxes in 2014. That’s a huge jump from the $5.4 billion collected in 1920 and the $43 billion in 1945. If Americans do circle their calendars for taxes, it’s usually April 15, the yearly filing day, not the 100th birthday of the federal income tax. “One hundred years of what we’ve had has been plenty and it’s high time Congress did something about it,” said Nash. SO with only 12 days until the healthcare exchanges roll out nationwide and in Delaware, you are probably wondering what is going to happen in the Diamond State. If you have signed up for the “Choose Health Delaware” e-mails, you probably have been getting many as the state gets more and more excited to bring us the “healthcare insurance exchange”. Of course, Delaware still hasn’t received approval for its pricing plans from the Federal government as of this writing (September 19), so if they don’t get it by October 1 then it is possible the state will begin rolling out coverage plans which have no price attached to them. Meaning, you will not be able to look through or choose any plan or compare any pricing because there won’t be any. Word is (from CRI’s secret sources) that today was the day Secretary Sebelius was supposed to announce the rates for the states with the federal exchanges, which clearly will not be ready by October 1. Malik is a 23 year old bartender and server who works in the restaurant industry. He works on his feet all day and like millions of Americans, Malik does not have health insurance because he can’t afford it. Can’t afford insurance. Can’t afford to miss work. “I hurt my foot pretty bad and I personally thought it was a fracture. I can’t afford to not go to work and not walk on it so I’ve just kind of struggled through it. If I did have insurance, I would have gone to make sure that it wasn’t worse than I assumed it was. Without insurance, a serious accident would pretty much turn my life upside down. It would probably set me back for life. Alejandra’s story: College students need coverage too! In the Marketplace, 22 preventive services are available to keep Alejandra healthy at no additional cost. That $300 bill she paid for her checkup could’ve been free. If she needs help paying for coverage, she may qualify for lower costs in the Marketplace. Or she can purchase a “catastrophic” health plan available to people under 30 when Open Enrollment begins in October. Specific plans and prices will be available on October 1. In the meantime, Alejandra can use this quick calculator to estimate her costs and savings. If she has questions about her application for coverage in the Marketplace, she’ll be able to get real-time help in English or Spanish over the phone, in person, or via live web chat. Clearly the $300 just “disappears” and becomes “free”. Maybe for her, but for the taxpayer, that means more money needs to come out of our pockets. According to the Manhattan Institute, an associate of CRI, their map says if Alejandra lives in California, she will an extra $34 a month for an individual plan (most likely the silver plan). Which is an extra $408 a year-more than the $300 she paid with no insurance. She doesn’t live there? Pricing is unfair? If she lives in Oregon, New York, Washington State, Washington DC, Virginia, Vermont, South Dakota, New Mexico, Connecticut, Or Maine, she will pay an increased rate. Even if she lives in New York, Ohio, Colorado, or Rhode Island where rates have decreased, she would still pay no less than $169 a month (Ohio) to get coverage. No Alejandra, who probably has little income, could attempt to enroll in Medicaid or qualify for lots of subsidies for health insurance-which then means her “free” checkup will be passed along to everyone else in the health exchange or the taxpayers. Of course, the exchanges must be up and running by then to even give Malik and Alejandra a chance to succeed. 12 days is a long time. Stay tuned. On Friday, September 20, the Delaware State News published the exchange rates for their Choose Health Delaware plan. Expect a future blog post/article from CRI with our response to the plans shortly. 2013 is already upon us, and three days in things are headed downhill. Congress just passed a bill to respond to the so-called “fiscal cliff” by increasing EVERYONE’S taxes at least a little bit, and a lot if you have a high income (note: if your money comes from investments and assets, such as Warren Buffett, your taxes will be unchanged). More battles will come up on the debt ceiling, automatic defense cuts, and future budget deals (if any come), and no doubt the partisanship will continue. Delaware has its own problems to deal with: unfunded pension liabilities, out of control Medicaid spending, bad deals with Fisker and Bloom Energy, education performances moving sideways and not up, and taxes such as the gross receipts taxes which harm business growth. These are just a sample of the issues facing the state. While CRI would like to resolve every major issue within the state, that is not very likely. Therefore CRI will spend 2013 focusing on three elements: improving education standards, discouraging corporate subsidies, and preventing the state from passing any legislation which pushes single-payer healthcare by abolishing private healthcare insurance. Education reform will be CRI’s top priority in 2013. There is general consensus that the education system as currently structured is not serving the students well, particularly those in areas like Wilmington and Dover, where parents usually do not have the financial means to send their children off to private schools, and who cannot be guaranteed a slot in the charter schools due to bureaucratic processes. CRI is calling for legislative actions to allow the money to “follow the student”, where parents have options such as Education Savings Accounts (ESA) that give parents the financial opportunity to choose where they want to educate their child. We hope to inform and engage the public and the legislators into some serious action this year that will give students a big victory for their future. Our second goal is to reduce, if not eliminate, subsidies for preferred businesses and special interest friends of the government. Bloom Energy and Fisker Automotive are two prime examples of the government handing over “subsidies” for “investment” in these companies, meaning hundreds of millions in tax dollars to give to these companies, money we will in reality never receive payback for. There is no industry in Delaware receiving taxpayer money that can be said to be worth the corporate welfare. Our aim is to educate the public and legislators, and push Delaware to either reduce/eliminate current government subsidies to preferred parties, or else to agree to prohibit future government subsidies via “corporate welfare”. Our third goal will be to discourage the Legislature from passing any bill which bans private health insurance in favor of “single payer” government. While CRI acknowledges the issues in containing healthcare costs, such as Tort reform, allowing insurance to be purchased across state lines, and using means-tested methods to determine who qualifies for Medicare or Medicaid as opposed to just handing it out to anyone who asks, there is no way the government can raise all the taxes needed to pay for this without destroying job opportunities or sending them out of state. Plus, the government will not be able to manage the insurance aspects of healthcare policy without setting up a massive, inefficient bureaucracy, just like they do with everything else. What do you think? Are there any goals CRI should work for that are no mentioned above?